The ‘Managing Historic Urban Landscapes – perspectives and potentials for cities in Serbia’ is the name of the seminar held in Novi Sad in the new premises of the ‘Svilara’ Cultural Station, restored building of industrial heritage within the ‘Novi Sad 2021 – European Capital of Culture’ project. During the preparation for this prestigious title, Novi Sad has proved to be a good host, example and an inspiration for other cities in Serbia and region. Connecting theory and practice from Serbia and abroad, Novi Sad restored and continues to restore some of its most important buildings of cultural heritage. ‘We want to share good examples we work on with other cities in Serbia, not only in the domain of restoration, but in further development through different models of management. Based on European standards, adjusted to our legal and cultural frameworks and possibilities, we believe that those are the successful models that will remain legacy of the ‘Novi Sad 2021 – European Capital of Culture’, stressed Mr Nemanja Milenković, CEO of the ‘Novi Sad 2021’ Foundation. 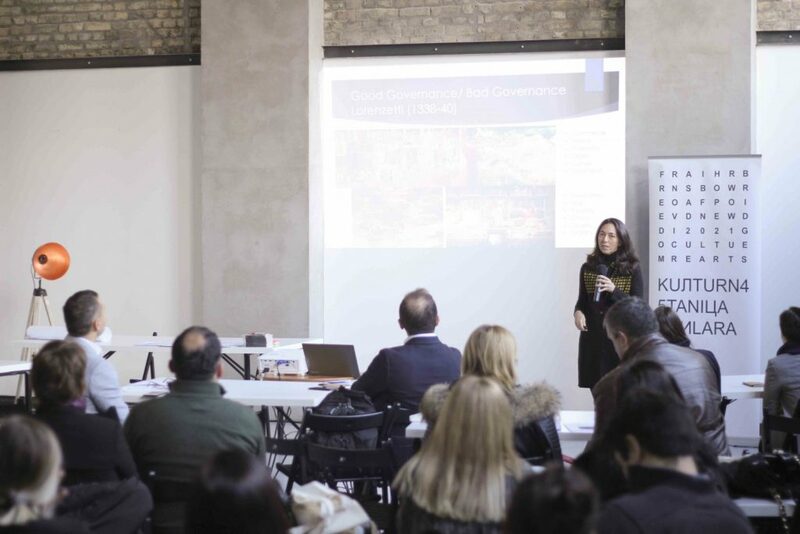 Historic Urban Landscape: Dr Yonca Erkan, the author of awarded researches and projects in the domain of revitalisation of cultural heritage of cities, presented key concepts, approaches and examples of good practice. ‘The approach to ‘managing historic urban landscapes’ is very important topic on the international scene. The topic of this approach is cultural heritage as the base for social, educational, cultural and economic development. In addition to this, we need to engage people with different professional backgrounds, sectors and citizens.’ – said Ms Erkan. In the year of cultural heritage, the ‘Novi Sad 2021’ Foundation focused on restoration of the Suburbium, as well as restoration and development of the Petrovaradin Fortress. The ‘Case Petrovaradin: Managing Historic Urban Landscapes’ project was implemented by Europa Nostra in cooperation with the Institute for Protection of Cultural Monuments of Novi Sad and TIMS, with the support of the ‘Novi Sad 2021’ Foundation. The project included four segments during which experts, together with active organisations and citizens, discussed the model of managing cultural goods and its implementation through series of research and educational activities. Ms Višnja Kisić, Secretary General of the Europa Nostra organisation in Serbia, said that the ‘Case Petrovaradin’ project drew the attention to Petrovaradin Fortress as an exceptionally valuable and complex cultural heritage and contemplated the Fortress through ‘managing of historic urban landscapes’. 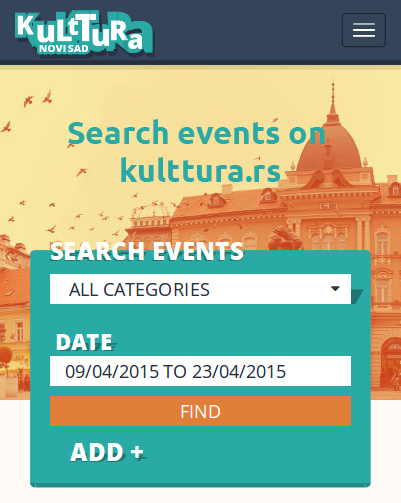 ‘Over 120 experts from Serbia and abroad participated in educational and research activities of the ‘Case Petrovaradin’ project – conservatories, architects, ethnologists, urbanists, sociologists, archaeologists, economists, tourism experts – representatives of institutions, public enterprises, organisations of civil society, economy, universities. 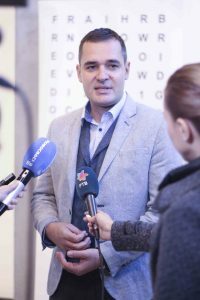 As a result, we expect the publication of the Dossier of Petrovaradin, which we will prepare at the beginning of next year. The Dossier will include all researches, project ideas and recommendations for this important cultural-historical landscape.’ – added Ms Kisić. The ‘Novi Sad 2021’ Foundation applies the good example of the Suburbium of the Petrovaradin Fortress that will display its new glory after 300 years to other grand cultural goods of Novi Sad. The former silk factory, today’s Svilara Cultural Station, got new appearance after 200 years, and former industrial complex ‘Petar Drapšin’, better known as the Kineska, is being restored after 100 years. Novi Sad gets the city concert hall for the first time, and the Music School get its permanent residence after 100 years. Equally important, the Liberty Square gets new appearance after 70 years, with active participation of local and international experts in the field of architecture, while the Almaš Neighbourhood, the old core of Novi Sad, has already revived. At the end of the Year of Cultural Heritage, citizens of Novi Sad will have a chance to see the exhibition ‘European Year of Cultural Heritage 2018 – where the past meets the future’ in the Svilara Cultural Station on Wednesday, 12 December. The exhibition will present the projects that contributed to this important topic.